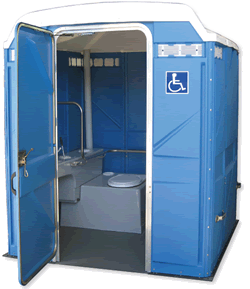 Portable toilet rentals in Nye County are an incredibly convenient option whether you are hosting an event or have workers out in the field for hours on end. Access to supplemental porta potties on site (in addition to existing facilities) can be a lifesaver when you have more guests than usual or you don't want people trudging through your home or building during an event. Aptera makes renting portable toilets in Tonopah, Pahrump and Amargosa Valley even more convenient than managing heavy traffic to and from onsite private restrooms. For most people in Nye County a portable toilet isn't their first choice when they need to use the restroom. But they are a necessity during outdoor festivals, concerts, marathons and more, so it will help if you know the best portable toilet companies in Nye County, what type/size of toilets they can deliver, their daily/week/monthly rental rates, their reputation and more. We have done to legwork to take out the guesswork involved when you rent a porta potty or restroom trailer in Nye County. At Aptera we speak with every single partner we work with to ensure quality customer service and that their reviews are up to par. Standard porta potties are only large enough for a single person to use the restroom at one time. While sizes vary slightly, a standard portable toilet in Nye County is typically 35 square inches. A standard portable toilet most often has a 70 gallon tank attached, which is adequate for an event with 50 guests which lasts no more than four hours. (if you are serving alcohol at your event prepare for 25% more usage of the units as a rule of thumb) Porta potty companies in Tonopah, Pahrump, Amargosa Valley and Beatty will usually service the units once per week if you are renting for ten days or more. For a frame of reference a single toilet can be used by a crew of ten individuals for a typical forty hour work week. While some variation in price does exist across Nye County, the cost of renting a standard portable toilet is typically fairly similar from company to company. A standard, non-flushing unit costs between $50-$120 for a one day toilet rental in Nye County. For a monthly rental, without weekly service, the cost is between $130-$350. For events with guests requiring wheelchair accessible options, most rental companies have an ADA Compliant Portable Restroom available. These units have wider doors, larger interiors, and handrails for safety. While sizes vary, a handicap accessible portable restroom is typically between 62 and 77 square inches. Some cheaper units are “handicap accessible” but not ADA compliant. ADA compliant restroom trailers in Nye County are slightly larger and cost more, but they will pass all safety codes and more importantly better serve the needs of your disabled guests. Mobile Restroom Trailers – Mobility and cost savings are the sole purpose of these trailers. They essentially consist of two or more standard porta potties on a wheeled trailer. Perfect for highly mobile construction crews and agriculture work environments, these are by far the cheapest toilet trailers available in Nye County. General Purpose Restroom Trailers in Tonopah, Pahrump and Amargosa Valley – The workhorses of the toilet trailer business, these are used by everyone from government (disaster sites, assemblies, events) to event planners to individuals having a backyard party. These have larger restrooms with hand washing stations inside and most units have a vanity with mirror, towels, and more. These trailers are still without electricity, but provide a larger, more comfortable option for your guests. Upgrades for restroom trailer rentals in Nye County include a separate men’s and women’s stall side by side. 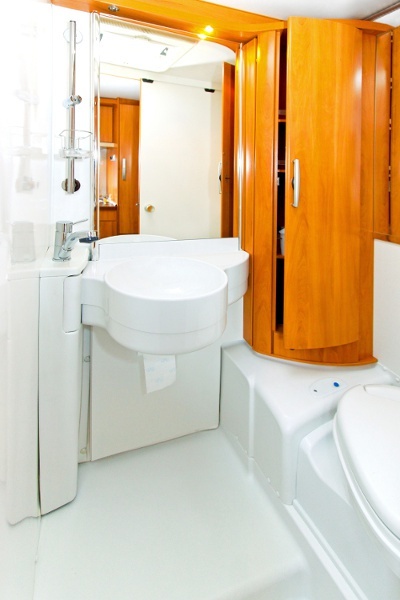 Luxury Restroom Trailers – The list of amenities rivals a high end home or office building and includes such as full electricity, air conditioning, furniture for the waiting area, toiletries, cabinets and more. Many Nye County restroom trailer companies even provide a restroom attendant throughout your event. 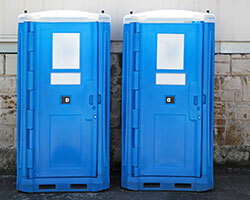 Before renting a porta potty in Nye County, there a few questions you may want to ask to avoid any surprises and ensure your expectations are met. Remember that some companies try to deliver the minimum level of service and quality of toilet to drive the cost down, while others cater to those who want a nicer experience. It is up to you to communicate your needs and find the right match for your company. Tonopah special event portable toilet costs $151, porta potty rental costs $103. Pahrump special event portable toilet costs $167, porta potty rental costs $114. Amargosa Valley special event portable toilet costs $152, porta potty rental costs $104. Beatty special event portable toilet costs $160, porta potty rental costs $110. Manhattan special event portable toilet costs $159, porta potty rental costs $109. Gabbs special event portable toilet costs $171, porta potty rental costs $117.